Maria Bethânia is a Brazilian singer. She is the sister of Caetano Veloso. Born 18 June 1946 in Santo Amaro da Purificação, Bahia, Brazil. Her brother Caetano named her at birth. (He was 4 years old at the time.) She started her career in 1964 in Rio de Janeiro with the show “Opinião”. She is the second best selling Brazilian female singer of all time, with more than 24 million albums sold. d at Teatro da Praia (Rio de Janeiro), directed by Fauzi Arap and she released the album of the same name. In 1972 she appeared alongside Chico Buarque and Nara Leão in the film Quando o carnaval chegar by Cacá Diegues. After another trip to Europe, she launched the album Drama – anjo exterminado also that year. In 1973 the show Drama, luz da noite premiered at Teatro da Praia, directed by Antônio Bivar and Isabel Câmara, from which arose the record Luz da noite. The following year she commemorated ten years in the music business with the show A cena muda, directed by Fauzi Arap, at the Casa Grande Theatre (Rio de Janeiro). The show led to a live record of the same name. In 1975 she performed a lengthy season with Chico Buarque at the Canecão (Rio de Janeiro). In 1976 she recorded the album Pássaro proibido which earned her first gold record. Also that year she got together with Caetano, Gil and Gal, forming the group Os Doces Bárbaros. In 1977 she released the album Pássaro da manhã, for which she received the second gold record of her career. That year she was considered one of the bestselling singers in Brazil, which opened new doors in the record industry. 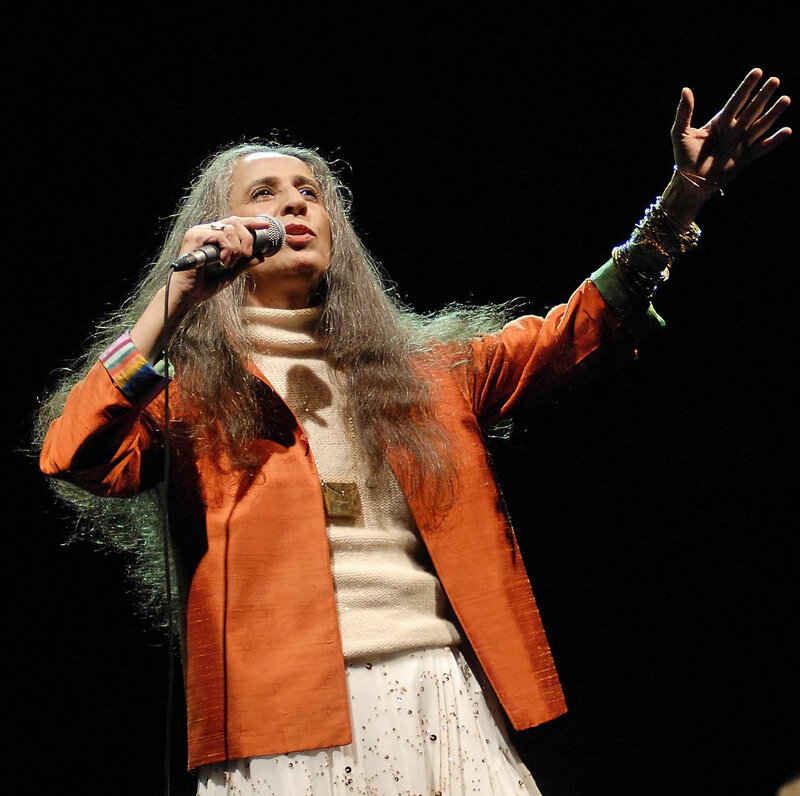 In 1978 she starred in the show Maria Bethânia e Caetano Veloso ao vivo alongside her brother. Also that year the album Álibi was released, which earned her third gold disk. In 1979 she recorded the album Mel. She released a series of records in the following decades: Alteza (81), Maria (88), Memória da pele (89), Olho d’água (92), As canções que você fez pra mim (93), only recording records by Roberto and Erasmo Carlos Âmbar (96), Imitação da vida (97) ande A força que nunca seca (99). In 1994 she performed alongside Caetano Veloso, Gal Costa and Gilberto Gil, in the show Doces Bárbaros na Mangueira, reference to the tribute made to them by this samba school, with the theme Atrás da verde e rosa só não vai quem já morreu. In 2000, she recorded limited-edition album Cânticos, preces, súplicas à Senhora dos Jardins do Céu. In 2001, she recorded the albumMaricotinha, containing the tracks Moça do sonho (Edu Lobo and Chico Buarque), from the musical Cambaio, Primavera (Carlos Lyra and Vinicius de Moraes), Quando você não está aqui (Herbert Vianna and Paulo Sérgio Valle), Antes que amanheça (Chico César and Carlos Rennó) and Se eu morresse de saudade (Gilberto Gil), among others, in addition to the title track, by Dorival Caymmi. She released the record a special show at the Canecão (Rio de Janeiro). The show included appearances by Caetano Veloso, Carlos Lyra, Chico Buarque, Nana e Danilo Caymmi, Adriana Calcanhoto and Gilberto Gil, among other artists. Also in 2001, in commemoration of her 35 years in the music business, she returned to the Canecão in the show Maricotinha, which led to the double album Maricotinha ao vivo. On December 8 that same year, she performed before 100,000 people on Copacabana beach alongside Caetano Veloso, Gilberto Gil and Gal Costa in the show Doces Bárbaros, which concluded the project Pão Music. In 2003 the show presented in 2001 at the Canecão was released on the DVD Maricotinha ao vivo, directed by André Horta. That year she also commercially released the album Cânticos, preces e súplicas à Senhora dos Jardins do Céu. In 2003 she was also nominated for the Multishow Award in the categories Best Show and Best Album for Maricotinha ao vivo. 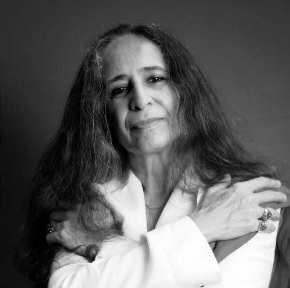 Also that year she created her own label, Quitanda, in partnership with record company Biscoito Fino, inaugurated the company by releasing the album Brasileirinho, containing songs about religion and Brazil, with guest appearances by Nana Caymmi, Miúcha, Denise Stoklos and Ferreira Gullar, in addition to the groups Tira Poeira and Uakti, and the album Vozes da Purificação, the first song recorded by Dona Edith do Prato. In 2004 she received the Tim Award in the categories Best Singer, Best Record and best visual MPB project, the Rival BR Award in the category Best Album, and the Academia Brasileira de Letras Award in the category Best Singer, in addition to being nominated for the Latin Grammy. That same year she produced and appeared as a singer alongside other artists on the album Namorando a Rosa, a tribute record to violinist Rosinha de Valença, released by her Quitanda label. In 2005 she released the album Que falta você me faz, recording works by Vincius de Moraes, in partnership with Tom Jobim, Garoto, Chico Buarque, Carlos Lyra, Baden Powell, Toquinho, Adoniran Barbosa and Jards Macalé. That same year she appeared at Canecão (Rio de Janeiro) in the show Tempo Tempo Tempo Tempo – Uma homenagem a Vinicius de Moraes. In 2005 she also received the Golden Music Dolphin Award from the Rio de Janeiro State Culture Council.